This is my favourite scenario, because many of us don’t necessarily have developers on hand willing to package our customizations on the fly into a WSP and deploy them. Let me explain, in many cases we need to create something in SharePoint that cannot be done live in the production environment where everyone is currently collaborating. Therefore, we set up Testing environments in another SharePoint Farm or sometimes another Web Application. Depending on what the test is, it could have been built with SharePoint Designer, InfoPath or custom web and jQuery. Alright, you finished testing and now want to bring it to Pre-Production or Production, how do you do it? That’s where Sharegate continues to be handy, use it to copy these custom solutions without necessarily packaging it into a solution. As long as you use Sharegate between Site Collections within the same SharePoint version, then you can use it to copy your branding. In an ideal world, your Master Pages, CSS and any other files used to brand your SharePoint Sites would be done in Visual Studio and packaged to be deployed across Site Collections. But, again in most cases we simply don’t have access to those kind of resources. What we need is an easy way to copy things like Master Pages, CSS, content in our Style Library and even some Page Layouts to different Site Collections. In other words, any files relating to your branding that lives within SharePoint Document Libraries. Sharegate does not allow you to connect to the actual files in _layouts folder. However, files in the Master Page Gallery or any other location will be fine. Recently, I copied my Master Pages, Content Query Styles and Display Templates straight to my other Site Collections without any issues. This is something I am very passionate about, allowing the Power Users to act themselves without causing a major catastrophe on your SharePoint environment. Something I have seen many customers do, is give the Sharegate License to their Support Team or Power Users after the actual SharePoint Migration. Why? Because they often need to copy SharePoint Site Objects over to a new location. My favourite example came from a financial institution in Europe that had Support Level 3 use Sharegate to copy Content Types, Site Columns and even copy Lists in SharePoint as well as Libraries with custom forms or views over to a new location. It helps them respond to user request quickly, without complicated PowerShell or backup restores to find a solution. If you look at this article, all of the listed actions that can be done with Sharegate on a Day-to-Day basis can easily be done by the Power Users or Support Team themselves. Pretty Awesome no? You’re not the only one, no need to be shy about this one. 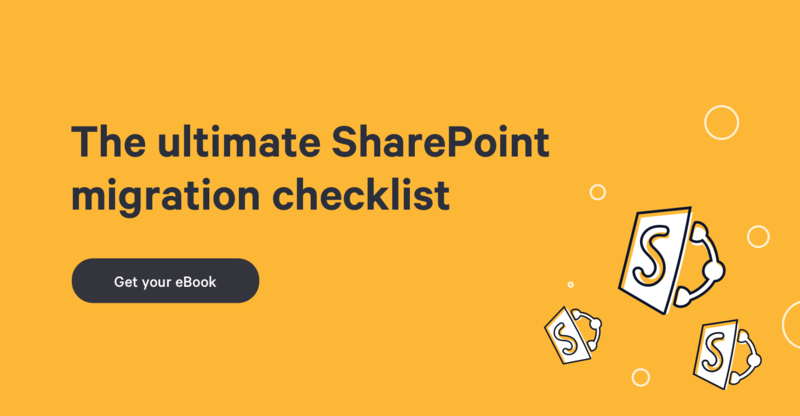 In many, if not all SharePoint implementations, the architecture was either short-sighted or missing a few key elements that are very difficult to implement later on. For example, you create a sub site in your Site Collection that becomes to big to manage over time. How do you turn it into its’ own Site Collection? That’s where Sharegate comes in handy. But it’s not just about the big pieces like that, sometimes it’s simply realizing you should of created a Content Type for those documents to better manage them. Now there are over a million documents and you need to change their Content Type but keep the Metadata as you make the change. The thing is, and you have seen this already depending on how long you’ve been working with SharePoint, it’s a platform that is in constant evolution and changes. We adapt as time passes and our needs change. The problem is always with the effort involved in making this change in our SharePoint Architecture. Sharegate will facilitate this, simply copy or re-organize your SharePoint objects to their right location. Though once again, the ideal way to create Workflows and deploying them would be through WSP Solutions, it simply is not always the reality. In many cases, there are no developers in the organization or they simply do not have enough time to support all of the users’ request to build and deploy custom solutions. In many of these cases, we see SharePoint Designer being used to build quick and easy workflows for a list, library or even content type. But how do you copy them to a new location? You’ve just built your Workflow in a test Site Collection or want to duplicate it somewhere else in your SharePoint, how do you copy it? Another great way to use Sharegate every day. We’ve touched on this a little earlier when talking about Re-Organizing our SharePoint Architecture. This is often a simple request that involves a lot more manual work than first anticipated. Content Types are often created at the root Site Collection but used in the sub sites below. 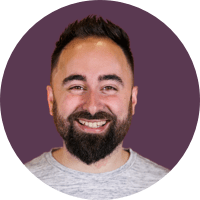 How can we make sure that turning our Site into a Site Collection will continue to work as expected and bring over any dependencies required for it. There are many reasons to turn a Site into a Site Collection: Isolate into a new Database, different Site Collection Features required, independent Search Schema in 2013, etc… No matter what you reason is, Sharegate is a great way to get the job done quickly. We’ve created a short 3min video on how to use Sharegate to turn Site into a Site Collection. As time passes and our skills grow with the SharePoint platform, we start using Site Columns and Content Types more often. You can learn more about the usage of Site Columns and Content Types on our blog as well. The thing is, we often need to reuse them outside of the Site Collection where they were created. A Site Column is important as it is reusable and provides a lot more than a regular list or library columns. What we need is to make sure that the column we created can be copied, anywhere, anytime. The same goes for Content Types, it can be time consuming to recreate these objects every time, increasing the change for human error. Of course you might think, well why don’t I use PowerShell to do this? Of course you can! But, Sharegate allows you to delegate such tasks to people that have little to no knowledge of PowerShell but have the knowledge and rights to do this kind of think. Sharegate can be a powerful tool in your belt for those architecture needs. One of the main reasons you’ve migrated to SharePoint was to use Metadata to tag content instead of storing it in folders. Now you’re in front of multiple documents to upload to SharePoint, but you know it won’t ask you to enter these document properties. You’ll have to go in afterwards and edit them one by one. Why? Because let’s face it, the Edit in DataSheet view did not live up to our expectations, limiting us in many ways. Remember when I talked about empowering the Support Team and Power Users? This is an excellent scenario where this fits. Have you ever realized, weeks after of course, that all of those documents in your library really should of been in another Document Library with a different Content Type? What about all the documents’ properties and their version history? We absolutely need to keep that intact during the move to a new SharePoint Document Library. Sharegate allows us to do just that with a few clicks, the same way it’s used for a SharePoint Migration, it can easily be applied within the same Site Collection or across another. I love SharePoint, but it’s not always perfect. The Edit in DataSheet view is definitely one that leaves us wanting for more. We need to Bulk Edit changes on properties for our documents, however this view leaves many field as Read-Only. The best example is bulk editing a Managed Metadata Column. Sharegate can connect to a list or library and Bulk Edit any field, including the Content Type of a document or a Person or Group column. You can take all Tasks in a Tasks List assigned to Stephanie and replace her with Benjamin. 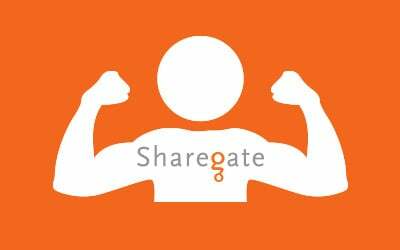 This is an excellent example that shows that Sharegate goes beyond the SharePoint Migration and can be used Day to Day. Need to justify the purchase of a SharePoint migration tool? You have 10 great reasons above that will definitely help you day to day in your SharePoint environments. Heck, even if you do not have a Migration coming up, it still is my « Go-To » application when I need to make changes in my SharePoint… and let’s face it, I need to quite often.